Hugo, Nebula and John W. Campbell Memorial Award winner Robert J. Sawyer has been called the Dean of Science Fiction. Robert is one of only eight writers, and the only Canadian writer, to win all three of these awards. Robert has also won twelve Aurora Awards and the Arthur Ellis Award. His novel Flash Forward was turned into a short lived television series. Subtitled “Murder on the Mean Streets of Mars,” Red Planet Blues is a noir crime novel that takes place in the fantastic world introduced in previous award-winning short works. Robert J. Sawyer reads from his latest book, Red Planet Blues. A noir mystery expanded from his Hugo and Nebula Award-nominated novella Identity Theft and his Aurora Award-winning short story Biding Time, Red Planet Blues is set on a lawless Mars in a future where everything is cheap, and life is even cheaper. Join Hugo and Nebula Award-winner Robert J. Sawyer as he launches his noir detective novel set on Mars -- RED PLANET BLUES. In addition to his science-fiction writing awards, Sawyer has won the Arthur Ellis Award given by the Crime Writers of Canada. "Red Planet Blues is a perfectly executed gem of a book. The premise is well considered and the execution confident and daring. Sawyer sets a classic work of noir against a Buck Rogers backdrop without ever hitting a sour note. Red Planet Blues is a gorgeous and engaging read." Launch of Red Planet Blues (Penguin Group Canada). Robert J. Sawyer reads from Triggers. One of only eight writers in the world to win all three of Science Fictions top honors awards for best novel of the year, Robert J. Sawyer has received the Hugo Award, the Nebula Award and the John W. Campbell Memorial Award. The TV series “FlashForward” was based on Sawyer’s book by the same name. Triggers, Sawyer’s latest science fiction novel, is equal parts terror, political intrigue and thrill ride. Robert J. Sawyer reads from WWW: Wonder. Robert J. Sawyer reads from WWW: Watch. Robert J. Sawyer's book Compostela (Tesseracts Twenty) was available from LibraryThing Early Reviewers. Robert J. Sawyer's book Writers of the Future Volume 33 was available from LibraryThing Early Reviewers. Robert J. Sawyer's book Wrestling with Gods(Tesseracts Eighteen) was available from LibraryThing Early Reviewers. 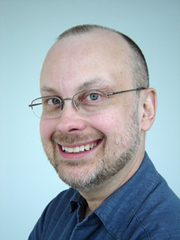 Robert J. Sawyer is currently considered a "single author." If one or more works are by a distinct, homonymous authors, go ahead and split the author. Robert J. Sawyer is composed of 10 names. You can examine and separate out names.